The Personalized Welcome Discovery Package to enable near-instantaneous ‘cold start’ personalization for new users. April 14th, 2016, Las Vegas, NV —- ContentWise (NAB: SU11707 CM) the personalization, discovery, analytics and metadata expert, today announced that NAB Show 2016 will see the global launch of a new release of the ContentWise Content Personalization System, which enables operators to provide personalized Pay TV, OTT, VOD and streaming services. A UX API to simplify the development of personalized TV apps and provide the operator with a single point of control over the viewer’s experience. With an API designed from the ground up, ContentWise provides integrators and application developers with a streamlined path to deliver personalization with server-to-server or direct-to-client API calls. The UX API and its management tools allow operators to change the client UI behavior with changes to server-side configuration, which results in significant savings in software development, QA and maintenance costs on client platforms and faster rollout of UI releases. A new automated ‘user cold start’ feature that, within a few seconds of a new viewer coming on-board, offers a personalized set of collections and discovery options to a new customer signing-up to a service. Unlike traditional recommendation engines that take up to 24 hours to re-compute algorithmic models, The ContentWise Personalized Welcome Discovery Package is ready in seconds. Support for automatic microgenres generation and personalization. ContentWise builds thousands of unique collections by automatically clustering content and then matches them to individual viewers in real time. This makes the UI more easily “scannable” and enables viewers to choose what to watch much faster. “A smart UI reacts to every interaction, predicts what a user is going to do next and changes content dynamically for each viewer. With this release we are taking a major step towards our vision of 100% TV storefront automation with data-driven personalization, editorial curation and advanced targeting. This API finally gives developers an elegant and incremental integration path to move the bulk of user interaction logic to the server side. That means less code to maintain and update across different platforms and shorter time to market for editorial and marketing recipes,“ concluded Auteri. The ContentWise Content Personalization System automates the digital storefront, delivering a personalized one-to-one content experience, supports the planning and execution of marketing initiatives and assists editorial curation and content planning. The ContentWise software uses dynamic UX personalization, content discovery and predictive analytics to help acquisition, marketing and editorial teams match content to each viewer’s profile, predict consumption patterns, increase ARPU and automate editorial tasks. 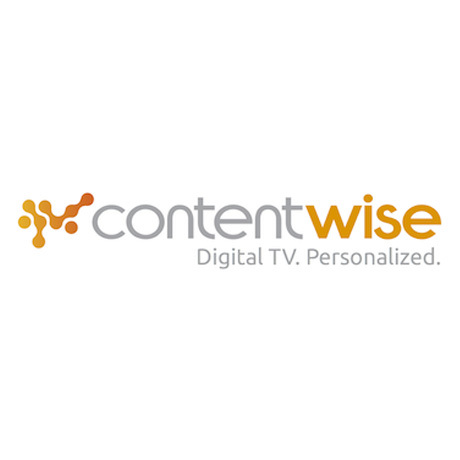 ContentWise unifies the content offering of linear TV, catch-up, SVOD, TVOD and OTT in a seamless viewer experience. The personalization engine analyzes users’ viewing history and preferences and ingests VOD catalogues, EPG, news feeds and third-party metadata to match content to each individual viewer. For the marketing and editorial teams, the solution analyzes behavior and measures content and catalog performance. Targeted promotions, ‘next-up’ suggestions and playlisting are just some of the use cases powered by the ContentWise Content Personalization System. 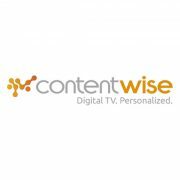 ContentWise is a leading personalization, discovery, analytics and metadata expert for Pay TV, OTT, VOD and streaming operators. Its content personalization software and solutions enable operators to delight viewers and meet business goals, with a combination of data-driven personalization, editorial curation and the kind of advanced targeting capabilities used by the most successful online retailers. ContentWise customers include maxdome, Mediaset, Sky, TIM Brasil, TrueVisions and leading operators worldwide. Learn more about ContentWise at www.ContentWise.tv and @ContentWisetv.